16 players from North Ayrshire TTC competed at this year’s West of Scotland Schools Qualifier which was held at Drumchapel High School on Saturday 21st January. All players performed well with a number of players moving up to an older age group. The U16 Boys event was played as a round robin with 7 players in the group. Adam Nicol and Martin Krus who are arguably the two most improved players in NATTC over the past couple of months showed that with their results. Adam Nicol won 2 matches out of 6 in his first competition in that age group and Martin Krus finished in 4th position qualifying for Scottish Schools Final. Kayser Collins, Robin WIlson and Owen Wilson were unfortunate not to qualify through their opening groups in the U18 category where Ryan Henry worked his way to the SF stage eventually beating Chris Mexon to finish in a credible 3rd place. 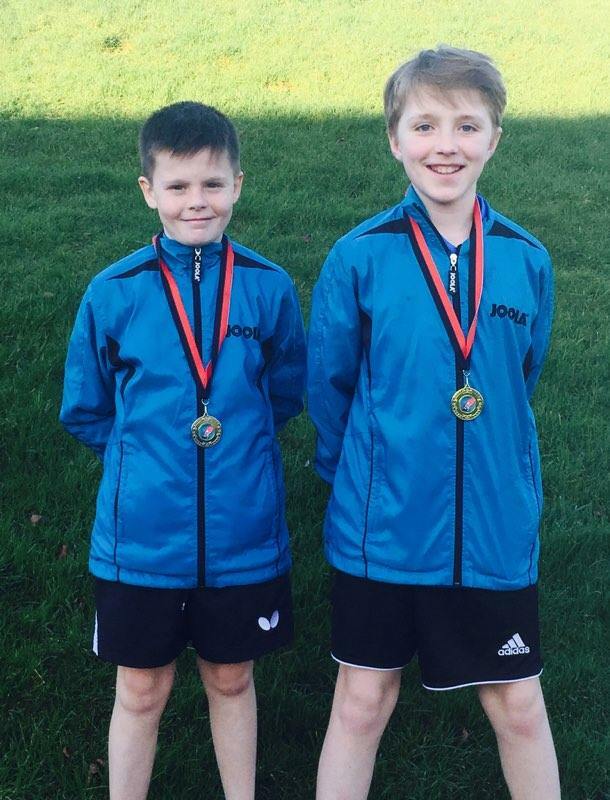 12 year old Jamie Johnson (Glencairn PS) worked his way to the semi finals of the u14 boys where he finished 4th after losing out to Michael Zhang (EKTTC) 3-1 in the final play off position. U12 Mixed event was won by Patric Hollywood, where he overcame his team mates Holly McNamara 3-1 in the SF and Chad Duncan 3-1 in the final. Big congrats on the following who all reached the latter stages and will qualify for Scottish Schools Final. This entry was posted in Latest News on 25th January 2017 by Chris Main.